Sumitomo Seika Chemicals Company produces super absorbent polymers, functional chemicals, industrial gases, and other products that are used in the production of consumer goods, medical equipment, pharmaceuticals, electronics, and automobiles. The company is well known and highly reputed worldwide for the high-quality of its products that are produced using proprietary polymerization and microparticulation technologies. Super absorbent polymer, the company’s main product, has the advantages of uniform particle diameter and high fluidity, which enables the production of highly-comfortable end products such as disposable diapers and sanitary napkins. The company’s main plant in Himeji, Japan utilizes proprietary polymerization and emulsification technologies to produce functional polymers, latex and emulsions. As a mother plant, the Himeji Works has a laboratory that researches ways to improve product quality and boost performance, and its research results are applied at company manufacturing facilities around the world. The Himeji Works manufactures functional chemicals such as specialty polymers, which are produced using a radical polymerization batch process. Sometimes there were fluctuations in quality in one particular recipe among various recipes of the specialty polymer product. To get to this bottom of this problem, Sumitomo Seika turned to a Yokogawa process data analysis solution. "Our company had already made various improvements based on its analysis of data, and these had achieved certain results. However, through discussion with the plant operators I came to understand just how complicated the production process was for this specialty polymer product, and how important their extensive know-how was to achieving a quality result. It became clear that it would take a lot of hard work to gather together and organize all the information on this production process. That is why I decided to use Yokogawa's process data analysis solution to improve product quality and to organize the tacit knowledge that each person has. In addition, as our company has been focusing on eliminating barriers between organizations, I expected that the members of the project team would actively work together across departments." At the Himeji Works, a project team was assembled that included people from the production department who were actually working with the process in question and had a lot of know-how about the process, people from the development department who were knowledgeable about chemical engineering, people from the research laboratory who were responsible for developing new recipes and products, and people from the administrative office who had a good overall understanding of plant operations. A Yokogawa engineer also joined the project team. In processes involving chemical reactions, there is often more than one abnormality factor, and the correlation between these factors is often complicated. The impact of disturbances such as temperature and impurities must also be considered. The process in question at the Himeji Works was particularly difficult, with a reaction that progressed while adding additive agents during raising the temperature. The project team discussed the matter at length in a meeting room and compiled a huge amount of information on the production know-how held by the site operators, as well as the views of the people from the development department and the research laboratory. They explored the possible causes of abnormalities in the entire production process and categorized them based on the 4Ms (material, machine, huMan, method), then made hypotheses regarding the possible physical causes. Finally, based on all this, they prepared an observation item list as a guideline for their analysis. The Yokogawa engineer started by analyzing not only process data that had been collected by the plant information management system (PIMS) but also representative values for managing product quality and operating conditions, and entries in operator logbooks. In plants that employ batch production processes, different products can be produced by changing the recipe. If material from the previous recipe slightly remains inside the production equipment, this can affect product quality. And if the time of production differs, there will be differences in production conditions such as the length of time raw materials must be stored and the amount of scaling that occurs inside equipment. In addition, as was the case at the Himeji Works, operators sometimes rely on their process know-how to make manual adjustments to the operating conditions, for example in response to production equipment scaling. When different lots of a recipe have been produced under varying conditions, it is thus difficult to make any comparison of the process data that will help to isolate the cause of a production issue. For that reason, the Yokogawa engineer focused his analyses on those production lots that had the same conditions as those under which abnormal lots were produced. With the analyses of batch processes that involve chemical reactions, impurities are one type of disturbance that needs to be considered. The project team identified factors and substances such as impurities that inhibited the reactions. Then, because it was difficult to verify the impact that these impurities have on a reaction by just examining collected process data, they examined this in a laboratory. The data obtained in the laboratory was useful for coming up with solutions. It is also useful to analyze batch processes by extracting characteristic process behaviors, hidden in data, that show the progress of chemical reactions and quantifying them as feature extractions. In order to extract a feature, it is necessary to use not only data but also physical quantities such as calorific values that are calculated from multiple kinds of data, or to use some kind of conversion processing such as integration or normalization. The alteration of data through conversion processing can help to identify previously unnoticed differences in process behavior. The extraction of features is an efficient means for uncovering causes of abnormalities. 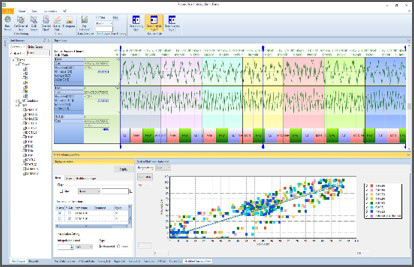 Yokogawa's Process Data Analytics tool enables the extraction of features, aids in the understanding of the relationship between extracted features and efficiently identifies abnormal factors. Even if features can be extracted, it is not possible to identify the true cause of an abnormality by just analyzing the relationship between the quality values and the extracted feature. In order to do this, it is necessary to analyze the data as the reaction progresses. The project team divided the reaction phase into early, middle, and latter stages, identified the extracted features for each stage, and analyzed the relationship between product quality and the individual extracted features. The project team noticed that power consumption went up as the result of an increase in the agitation load as the reaction progressed and polymers were deposited in the polymerization tank. They defined the point in time when power consumption peaked as the extracted feature for the latter reaction stage. A strong correlation was identified between the extracted feature, the quality value, and the total amount of additives. However, to keep product quality high, operators needed to take action before the power consumption peaked. The project team continued to look for other features throughout the production process and found out that the heating value generated after the reaction started in the middle reaction stage had a decisive influence on the latter stage's feature (power consumption for agitation). They reached the conclusion that the quality value could be controlled by adjusting the additive amount depending on the level of the heating value that was generated right after the start of the reaction. To solve problems in this fashion, it is of course necessary to discover correlations between quality values and extracted features, and relationships between extracted features, using data. Furthermore, it is also important to interpret the results of these analyses by examining them from a broader viewpoint that takes into consideration factors such as production, chemical reactions, chemical engineering, and the 4Ms. The bringing together of process knowledge and analytical technology is essential. The changes in the extracted features at each stage of the reaction more or less impact product quality. 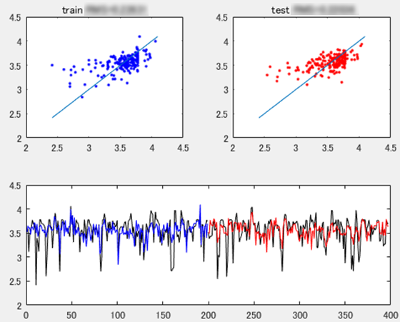 Machine learning makes it possible to identify the dominant extracted feature and to verify the certainty of this conclusion. Machine learning is also able to reduce the risks of implementing an action plan for product quality stabilization. The project team verified the certainty of the extracted features using stepwise regression, a statistical analysis method. Three explanatory variables that contribute to the reaction, including the heating value generated right after the start of reaction, were selected from the extracted features. According to the estimated result, the quality value could be reliably estimated by using these explanatory variables. The project team concluded that the quality value could be correctly controlled by controlling the three extracted features. After the factors that had caused fluctuations in product quality were identified, the project team developed new operating procedures that included adjusting the additive amount depending on the extracted feature showing the progress of the reaction. They also designed a display that compares the current extracted features with past lots. The system enables site operators to carry out their duties while monitoring the progress of a reaction. It is expected that the new operating procedures for controlling the fluctuations in quality with the quality value will reduce costs by several million yen per year. In this analysis project, the team created a list of items to observe, made hypotheses, and verified the hypotheses with data. In addition, new observation items were sometimes discovered during the analysis and verification of data. Through these tasks, they were able to gain an overall understanding of plant issues, discover the true root causes of abnormalities, and devise countermeasures. There were also secondary results such as finding new challenges that needed to be addressed to improve product quality. The revision of the list of observation items was made possible by the combined knowledge of all the project members, and this is an asset that has been proved by the data and can be used as a technical standard to advance technological innovation at the Himeji Works. The Himeji Works aims to further improve product quality and enhance its competitiveness by promoting the use of data analysis and the fusion of process knowledge and data analysis technology. "Initially, I thought that it would be okay if we could just collect the tacit knowledge each person has by using Yokogawa's process data analysis solution. However, we were able to find certain results in product quality improvement. Furthermore, we were able to make improvements to operations, improve capabilities in the field, and strengthen internal cooperation across departments. Above all, creation of the observation item list aided in the conversion of tacit knowledge to explicit knowledge. This exceeded my expectation and I am very satisfied. In order to continue providing high quality chemical products to the market, we would like to make further improvements by utilizing the knowledge and experience gained through this analysis project." Q. What was your impression when you were selected for the project? “It was absolutely necessary to improve this recipe, so I thought that we should go ahead with the process data analysis." "Since I had no experience with data analysis, I had no idea what I should do at the beginning. I knew our plant had already tried conventional approaches to make improvements, but that they had not yet attained all the desired improvements with this recipe. So my expectations for Yokogawa's analysis were high." "It was an honor to be selected. I am engaged in accounting work in the administrative office and am not involved in production, so I was wondering how I would be able to contribute when I started work on this project." Q. What did you gain from the project? "We could find new perspectives that differ from conventional knowledge. And the conventional knowledge that we had was also proved by the data." "I enjoyed free and active discussion with people from other departments. In the past, we vaguely knew based on our experience what properties a product would have when produced under certain conditions. But after finishing the analysis project, I think I can now see what is going on in the process. I would like to utilize the analytical method with other product recipes." "I knew that Yokogawa would use difficult analytical methods, but they listened to us carefully in order to understand our operations. Yokogawa did very steady work, and I recognized that organizing huge amount of data is fundamentally important if you wish to make smooth progress with tasks." "We were often bound by rule of thumb, and this tacit knowledge in each department was closed off to others. We successfully organized and visualized that information through this project. It was also very good from the human resources viewpoint to share knowledge and ideas across departments." Q. Did anything change as a result of your experience with the project? "My handling of accounting data changed once I realized how valuable it was. I now consider how to extract knowledge from a lot of data, and so I have a different point of view on how I will utilize data." "I now use spreadsheet software more frequently. I once thought that there was no correlation between the data, but now know that it is possible by means of careful analysis using stratification and other functions to discover relationships between the data." "I began to ask site operators to give hard data whenever possible to explain what was going on in the plant. Operators who previously only used descriptors like “hot” or “cold” began to give more concrete explanations backed by numeric data." "Unproductive tasks were eliminated, dramatically reducing operator workload." Q. Do you want to try the analysis again? "We have already analyzed another recipe. Opportunities for discussion with people in other departments have also increased." "With the observation item list as a reference, we have been testing various things using laboratory and actual production equipment. Thanks to the list, we are able to do analysis smoothly and without bias." "The research laboratory has developed a difficult new recipe again! That is also complicated and difficult to complete, but utilizing the knowledge that we obtained through this analysis project we will be able to continue to produce high-quality products." "Even though the work to retrieve production data at the site was troublesome, I enjoyed the project. It was fun!" "With the analysis solution for Sumitomo Seika, I was in charge of everything from the initial sales promotion phase to the completion of the project, and carried out the actual analysis work. Process data analysis does not always work well if the customer lacks the strong desire to improve and fails to exercise leadership. It’s hard to know how this will be until we start in on a project. 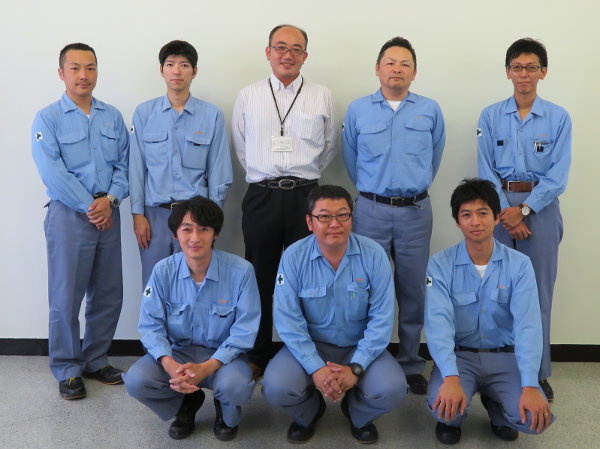 Mr. Uemura spent a lot of time right from the beginning trying to understand Yokogawa's activity, and assigned knowledgeable personnel from different departments to work on the project. I truly appreciated his good cooperation. I hope that the culture of analysis takes hold at Sumitomo Seika. The fusion of process knowledge and data analysis technology can contribute to improvement of quality and operational efficiency. I hope the project members will continue to actively innovate. I also trust that they found the data analysis experience rewarding and that they feel a sense of achievement in having made improvements."